Having been gently told off for lack of input here's a quick snap from my garden today. Swarming toad taddies in my main garden pond - this is an approx 1 foot long section of a 10ft length of south facing edge which had this sort of densities throughout its entire length. PS - that's a very rare breed of resin crocodile of course!! loving the croc lol. Great to see so many taddies . just out of curiosity how come toad numbers aren't higher in general given that they have fewer predators than other anurans/amphibians? oh, and when did you retire as sand lizard programme coordinator? Yes - I thought the croc would be appreciated! It does seem strange regarding toad numbers but various possibilities come to mind. Firstly, of course, the numbers seen when migrating to breeding ponds can be enormous but thereafter they disperse far and wide and generally lead a rather secretive life - probably only counts of ALL breeding aggregations would come close to finding the total number of adult toads. 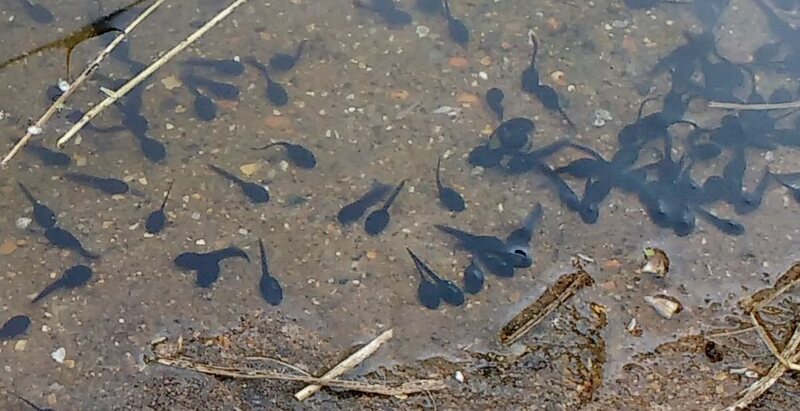 The tads tend to be safer than other amphibian larvae (mine actually share this pond with ravenous goldfish yet metamorphose in huge numbers). But new metamorphs right up to adults do seem to have far more predators than one might think. In my area, grassies regard them a a staple for example! Finally, of course, like most amphibians they suffer from habitat destruction, loss of breeding ponds and so on. So far as retirement as sand lizard captive breeding programme co-ordinator is concerned, this was last year. I reached 70 and have severe circulation problems in my legs which actually means that nowadays it is, at best, difficult (if not impossible!) to reach even my local colonies. Coupled with after some 20 years of being "Mr Sand Lizard" in Wales, albeit from 250 miles away, we (i.e. ARC) now have Mandy Cartwright in North Wales and Mark Barber & Pete Hill in South Wales - and they are all great! Brilliant to see Chris. I was surprised when we had toad taddies a few years back that quite a few invert predators would prey on them. Is your pond level down a bit? We have had barely any rain this month in Essex. The clay pond looks more like one would expect in mid-August, down several inches. I have filled a couple of butts with tap water for a top-up. Now you cannot get out so much in the field, perhaps keep up us updated with the garden sighting? You have species in the garden most of us can only dream of seeing on a daily basis. Yes, even the tads are preyed on. I have seen them fall prey to dragon and damsel fly larvae as well as water scorpions and back swimmers. I'm taking the hint re my garden! I really need to remember that my smart phone takes piccies - that'll help! Same here with pond levels. I don't think I've seen the larger pond so low at this time of year. It's not exactly because of tropical temperatures either. It's almost impossible to watch the newts as the water has got so green. I was surprised when we had toad taddies a few years back that quite a few invert predators would prey on them. My assumption was this was why toads tended to breed in larger ponds with fish - their toxins keep them relatively safe from fish predation, but the fish keep down numbers of other tadpole predators such as newts and invertebrates. This would also explain the shoaling behaviour - having tried one and found it unpalatable, a fish would be likely to leave the rest of the shoal alone. Having said that I've never actually seen any data on how much different fish species do prey on / avoid toad tadpoles, so I'd be interested if anyone knows of any research on the subject. Conversely frogs can avoid the same predators by breeding in water bodies so temporary that drying out keeps predator numbers low, albeit at the risk of early desiccation. Presumably the risk of mass mortality in a dry year is outweighed by the high success rate in other years. I think this is often the case. 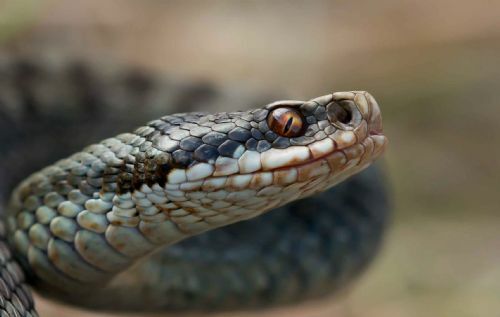 I only recently read about the aggregation behaviour having links with predator avoidance, it was always a behaviour that I found fascinating. I have not seen research on which particular species of fish will prey on toad tadpoles. I can though anecdotally report that I have known thriving toad populations in large gravel pits containing a very good variety of stocked still water fish species. So it suggests a good range of fish species do learn to leave them alone.